Leonhard Meisjes was raised in Amsterdam with three sisters. At age 19 Leonhard was sent to a psychiatric hospital after being found by mother in bed with a Jamaican dancer, but escaped and fled to Paris, where, known as Nanny, she found work as a performer in Le Carrousel, and elsewhere. She became known for her Marlene Dietrich impersonation. After more wandering in Nice, Berlin and Antwerp, Aaïcha returned to Amsterdam, acquired black-market female hormones and made a living as a prostitute, despite police harassment. They would confiscate the clothes that she was wearing, even underwear, even trousers without a fly, on the grounds that such clothes were forbidden to men, and send her home naked. She had repeatedly to buy replacement clothing and to pay fines. Nanny had confirmation surgery in 1972. She closed up after the first operation in Amsterdam, and was operated on again in England two years later. She then changed her name to Aaïcha Bergamin. She went on to marry four times, the last, when she was in her 60s, the husband being a Moroccan 42 years younger. With this and her passport finally changed, the vice squad finally left her alone to practice her profession. She became the first trans madam in the city. Later she opened a club, initially called the Bar Oporto, but then Madame Arthur, at de Warmoesstraat 131 at the corner of de St. Annastraat ( map), where she repeated her Marlene Dietrich act. But after two years the building was demolished. A Chilean trans woman, who had danced in her club, fixed it for her to smuggle cocaine from Brazil. 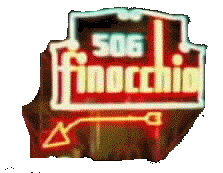 Aaïcha spent five years in prison. Afterwards she lived in her parents' home in Amsterdam Oud-West. 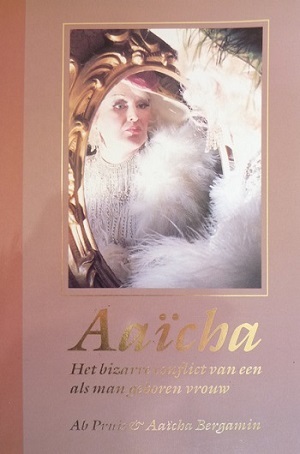 In 1991 she published her autobiography, Aaïcha: het bizarre conflict van een als man geboren vrouw. She died age 82 of lung cancer, and was buried anonymously. However trans activists raised funds to buy her a tombstone. Ab Pruis & Aaïcha Bergamin. Aaïcha: het bizarre conflict van een als man geboren vrouw. (The bizarre conflict of a man born a woman) Amsterdam: Stichting Vrije Kommunikatie, 1991. Jaap Stam. “Schoonheids-foutje”. De Volkskrant, 7 december 2013. www.volkskrant.nl/archief/schoonheids-foutje~a3558047. Alex Bakker. “Transgenderpionier Aaïcha krijgt alsnog een grafsteen”. Het Parool, 28-07-15. www.parool.nl/parool/nl/4/AMSTERDAM/article/detail/4108940/2015/07/28/Transgenderpionier-Aaicha-krijgt-alsnog-een-grafsteen.dhtml. Bert Woudstra. 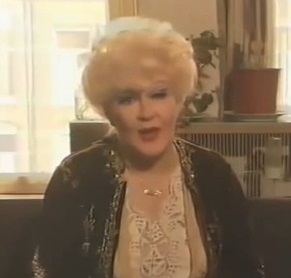 “Aaïcha Bergamin (1932 – 2014)“ www.bertsgeschiedenissite.nl/TGNH/Transgenderpioniers/Aaicha%20Bergamin/aaicha_bergamin.html. "Much later I saw pictures of such an operation. They filled me with fear." Just as well that Aaïchadid not go to Dr Burou. April Ashley tells us that he showed such photographs of previous patients as part of deciding whether a prospective patient was serious. Do not confuse Aaïcha's Madame Arthur with that of the same name, also in Amsterdam but at Korte Leidsedwarsstraat nr. 45 whuch was opened in 1961 by Marcel Oudjman, the owner of the Paris Madame Arthur and Le Carrousel.